this is my first year to attend sxsw and it’s been quite the ride so far. the film portion of the festival has been going strong with loads of screenings (some of which are friends’ works), great parties and lots of networking. oh, and rosario dawson told me she liked my hair … bonus! eric martin’s narrative short “fran’s daughter” premiered this past saturday along with several other shorts. high five to eric for the film passes for atxavenues.com and myself. lots of talent in just a couple of hours. another great film was “dragonslayer,” edited by lizzy calhoun from arkansas. being an illustrator, i think the screening that had the most impact on me was the animated shorts. “a lost and found box of human sensation” blew me away. the story was deep but relieved you at times with its wit. as for the animation and imagination … pretty much the best. last night’s sxsw flm awards after-party at maggie mae’s was pretty swank, too. 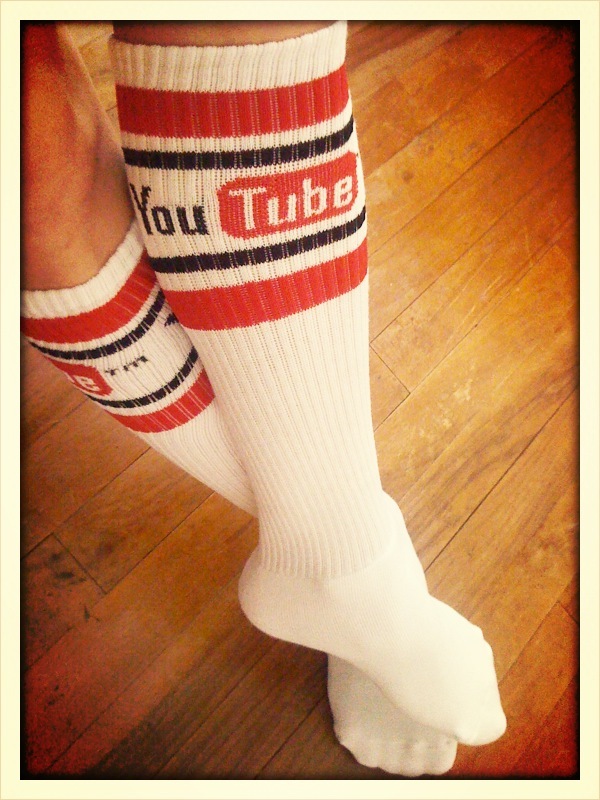 beat-boxing, free lonestar AND we scored some “youtube socks.” mmhmm. clever.